Plain dyed open weave fabric of approximately square construction woven from jute. 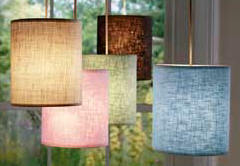 Fantastic decorative effects for lampshades. Hessian is also used to make bags and packaging materials.